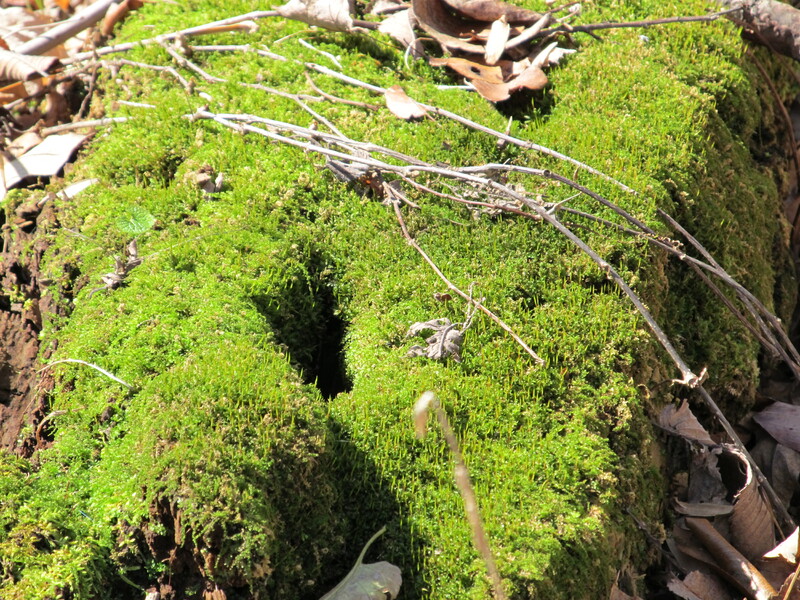 I love the delicate texture and colorful shade of moss. It's like finding a jewel amidst a sea of sand. I cannot believe in Southeast Indiana, we are still enjoying sunny days, 60 degree temps, and blue skies in November! It’s hard for me to stay indoors on a day like today because I keep remembering what’s bound to come any day…..cold, wet, and dreary days. I am an outdoor kind of person because nature keeps me moving, motivated, and happy. Yesterday my husband and I got out-and-about in the company of our son, daughter, and son-in-law. We visited Miami Whitewater Park; threw some frisbee, played on the playground, and meandered our way through a timberland hike. Later we stopped by the Lawrenceburg Public Library to show our daughter what a wonderful and peaceful place it has become since the renovation years ago. The in-house coffee shop, fireplace, abundance of cozy chairs just waiting to be tried out, and the inviting staff all make for a wonderful outing for any book-lover. In short, it was a glorious day, much like today and it was made even more wonderful sharing it with our children. These "button" looking fungi caught my eye. Life is too short to stay cooped up inside. The abundance and splendor of Nature is God’s way of showing each of us how to refresh and rejuvenate, body and soul. Furthermore, being in the company of those you love nourishes your spirit. Sharing our company is a wonderful thing, but Sharing food with those you love is even better in my family. We love to eat and we love to share our recipes with each other. We take pride when others find our dishes good and ask for seconds, or better yet, ask for the recipe. My family can shape an entire day around the joy of eating so it’s not a surprise that I can’t wait until Thanksgiving rolls around every year! I have an abundance of eggs because my hennies are working hard! 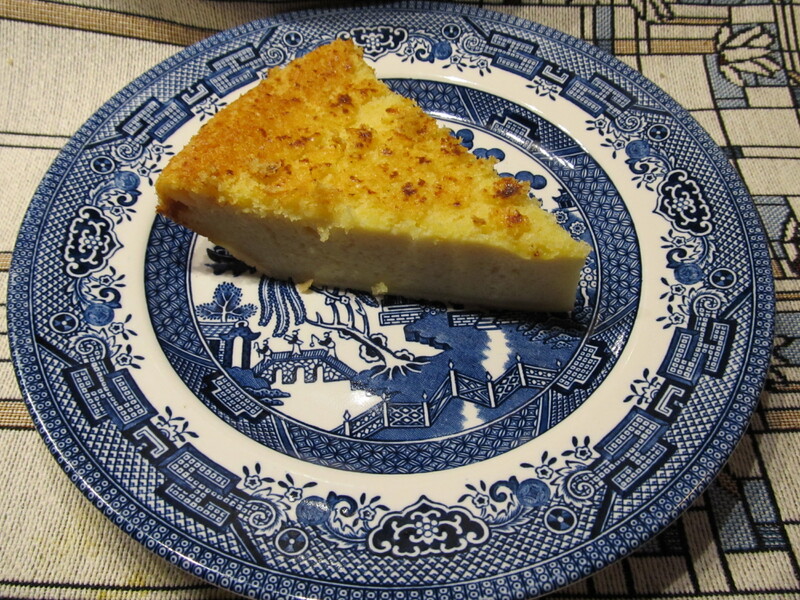 I found a really easy recipe for custard pie that anyone can prepare. It tastes great with coffee and company! If you are a custard perfectionist, you may find fault with the texture of this pie, but for quick and easy you can’t beat it. This piece didn't last long enough to get the plate dirty. Magic Crust Custard Pie, Robyn Witte. Butter a 9 inch pie pan and set aside. Put all ingredients in a blender and blend for 30 seconds. Pour the mixture into the pie pan and grate some fresh nutmeg over the top. Bake at 350 degrees for 45 minutes. The flour will settle to the bottom of the pan to make the crust. Refrigerate. This pie is simple, easy, and delicious! PS. I love the Frank Lloyd Wright place mat we got at Falling Waters! It makes me happy to use things I love. I can’t get enough Simple Pleasures that Life has to offer and I hope you feel the same way. 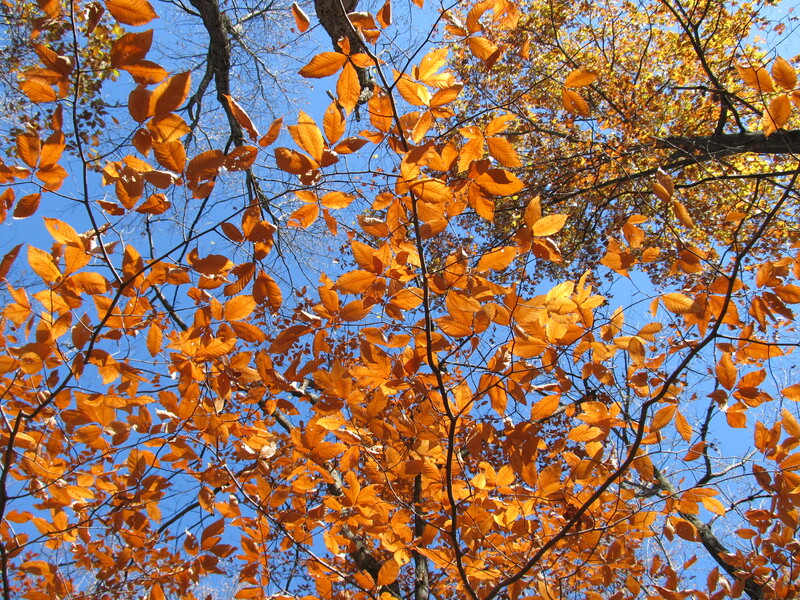 The blue sky offers a perfect backdrop to these colorful leaves. 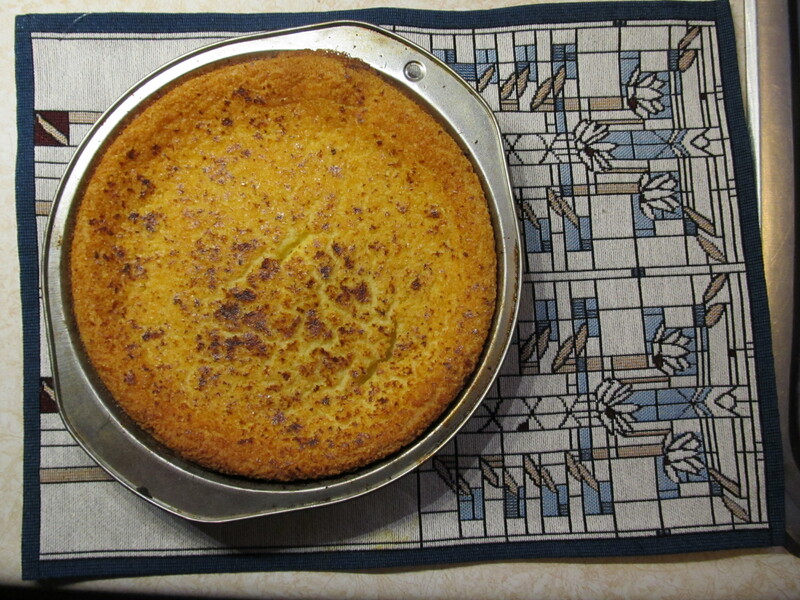 This entry was posted in activities, Life's Simple Pleasures, Recipe, Seasonal, Uncategorized and tagged colorful leaves, custard pie, library, moss, parks, recreation, rejuvination. Bookmark the permalink.